I was born in Moscow, Russia. My parents moved my six siblings and I to the United States for search of a better future. Sacramento was the first stop, and I’ve been a resident of the Sacramento area ever since. As the oldest daughter of successful business owners, I was taught the value of hard work and integrity at a young age. After attending high school, I decided on a career path in the Dental Field and attended Carrington College in 2010. Soon after graduation, I gained my RDA license. After six years of helping others look and feel their best, I decided to pursue my biggest passion in Real Estate. 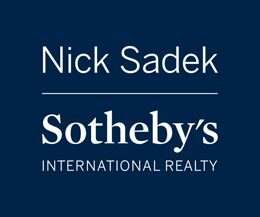 As a Sotheby’s Agent, I am dedicated and passionate about helping potential buyers/sellers make their best possible decision regarding one of their biggest investments. While not working, I love to spend time with my two boys and attend their basketball games, I’m also a big foodie and love to travel and explore different food and culture. I would call myself innovative, trusted, passionate, people-lover, witty, self driven, and super savvy for today’s growing market.